Depression can be difficult to diagnose because it presents differently in each person. Depression treatment should be tailored to the individual person based ontheir symptoms. In order to determine the depression treatment that is right for you, it is important to understand how depression impacts your daily life. When you think of depression you think of sadness, right? Unfortunately for many patients the first symptom is not sadness. It can take a person a while before they identify they are depressed. Some of my patients notice that they are irritable, eat less, and struggle with insomnia before they start to feel depressed and sad. Other patients sleep more, eat more, and stop enjoying the pleasure of life for several days or even weeks before they begin to feel depressed. Depression has many faces and can also be a normal emotion. Understanding the difference between the emotion and the illness is quite important and often difficult to determine without the help of a psychiatrist or psychiatric PA. When Does Depression Become a Medical Illness? There are effective treatments for depression. ADHD can lead to brief bouts of depression that tend to be triggered by boredom, rejection, or disappointment in themselves or others. While someone with ADHD may feel depressed daily, each bout of depression does not last more than a few minutes or hours. Most patients with ADHD notice a significant improvement in their mood symptoms once they are on the right medication regimen for their ADHD. Working with a therapist to learn how to cope with the mood symptoms of ADHD can also be helpful. Depression commonly occurs in people who have anxiety disorders. For example, post traumatic stress disorder, obsessive compulsive disorder, or generalized anxiety disorder frequently cause symptoms of depression. As you can imagine, struggling with feelings of high anxiety for an extended period of time it is quite depressing. Sometimes anxiety disorders can lead to major depressive disorder. It is also a common symptom of bipolar disorder, schizophrenia, and schizoaffective disorder. Depression treatment and interventions should address your unique needs. Medications should target the symptoms that are most problematic for you. It is important to determine the symptoms which are impairing your ability to work and enjoy life. There are many different types of antidepressants on the market. The most commonly prescribed antidepressants are Selective Serotonin Re-uptake Inhibitors (SSRIs) and Serotonin-Norepinephrine Reuptake Inhibitors (SNRI). The medications in these classes are all effective for depression treatment. However each has unique features that will impact the individual person’s response to the medication. For this reason, it is important to work with a clinician who understands the nuances of the medication. It is also very important to understand that antidepressants do not work quickly. You typically see a 10-20% improvement each week you take the medication. You will see the maximum benefit after 6-8 weeks. Due to the complexity of depression it is not unusual for psychiatric specialists to prescribe more than one medication. To avoid taking multiple medications, consider improving your emotional health by working with a therapist. Dialectical behavioral therapy (DBT) and cognitive behavioral therapy (CBT) are both effective treatments for depression. For mild depression, both types of therapy can be effective in place of medication. For moderate to severe depression DBT and CBT are useful in conjunction with medication. By adding these therapies to your treatment regimen you will likely be able to maintain stability on less medication. 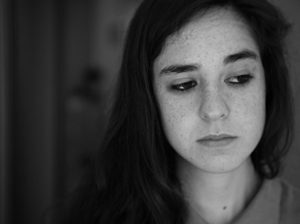 Take a few minutes to read this article Depression Treatment: Why is Therapy Important in the Treatment of Depression and Anxiety to learn more. That is pretty amazing that more than 300 million people suffer from depression at all ages. This should help and make you feel that you are not alone. There is no shame in seeking help and trying to better yourself. I agree!! There is no shame in seeking medical care for any medical illness!! Thank you for the information on the management of depression. I think one of the best ways to work through depression if possible is therapy. Sometimes you just need someone to talk to, someone who isn’t going to tell you that you are right or wrong they are just there to listen and offer advice. I will pass this on to a friend of mine who is going through a bit of a rough patch right now. I agree with you Jaque! A therapist has the advantage of looking at your life from the outside and can offer unbiased advised. I think it is also important to remember that most of us were never taught about emotions, boundaries, mindfulness, assertiveness, etc. as children. We all have some work to do in order to become emotionally healthy. I like to think of therapists as life coaches that can help guide you to the best version of yourself. Ƭhat is very attention-grаbbing, You are a very profеssional Ьlogger. Ι have joineԁ yoսr feed and sit up for seeking more of your excellent post. I like that you talked about how important it is to the determine the symptoms that are causing problems for you to enjoy life. Additionally, I find your statement about the importance of working with a therapist to avoid taking multiple medications. A friend of mine called me today and shared her problem with her son. She told me that ever since his husband died, his son has become so distant and has often locked himself in his room. It’s important for her to seek proper medications for his son’s treatment. It’s also necessary for her to seek professional help to make sure that his son is going to be able to enjoy his life. I will make sure to share your blog with my friend so she can consider all your tips. Sharon thank you for the encouragement and I hope he does get the help he needs! Love it! Thanks for your confidence in my services! The feeling is mutual! I have a friend who suffers from depression, but she is wanting to find treatment soon. I like your point about how dialectical behavioral therapy and cognitive behavioral therapy are both effective treatments. She has a hard time opening up to people, so I think cognitive would be her best option. Thank you Derek! It is so important to increase awareness of treatment options for mental health disorders. The brain can get sick just like any other part of the body and there is no shame in treating an illness of the brain. I appreciate your comments on how depression can be manageable until it is causing weight loss, fatigue, or other more extreme problems that mean it could be a medical illness. I have always struggled with mild depression but have been experiencing some insomnia lately. I might need to look into some treatment methods to help with that. It never hurts to explore treatment options. Please do not hesitate to talk about your mood with your medical provider. There are many treatment options available. Thank you for letting me know that my medication for my depression should address my unique needs. I’ve been on medication for years for my depression, but recently nothing has been helping. Thank you for letting me know that with new medication that typically I’ll see a 10-20 percent improvement each week as I a good medication for me. I will have to look more into different medications that could help me better. I love that you pointed out the importance of making sure you know how to handle your depression. Getting therapy if needed and medication, if needed, is helpful. My sister would love knowing this as she looks into getting depression treatment. I have been struggling with depression for years now so thanks for sharing this. I like your point about working with a clinician who understands your prescriptions. I’ll have to ask my doctor about this at some point so I can try different antidepressants. It is helpful to know that there are various ways to treat depression. Exploring options like medication with a professional is a great idea. My sister might like knowing this as she looks into a depression treatment service for a friend of hers.